We investigated the associations between depressive symptoms and adherence to antiretroviral therapy (ART) among people living with HIV (PLHIV). We searched the PubMed, EMBASE and Cochrane CENTRAL databases for studies that reported an association between depression and adherence to ART as a primary or secondary outcome. We used a random-effect model to pool the risk estimates from the individual studies. The odds ratio (OR) with their 95 % CIs were used as summary estimates. Of 2861 citations, 111 studies that recruited 42,366 PLHIV met our inclusion criteria. When reported, the rate of PLHIV with depressive symptoms ranged from 12.8 to 78 % and the proportion of PLHIV who achieved good adherence (≥80 %) ranged from 20 to 98 %. There were no significant differences in rate of depressive symptoms in PLHIV by country income group; however, the proportion of PLHIV who achieved good adherence was significantly higher in lower-income countries (as defined in the 2012 World Bank Country Income Groups) (pooled rate = 86 %) compared to higher-income countries (pooled rate = 67.5 %; p < .05). We found that the likelihood of achieving good ART adherence was 42 % lower among those with depressive symptoms compared to those without (pooled OR = 0.58, 95 % CI 0.55 to 0.62). The relationship between depressive symptoms and adherence to ART was consistent across the country’s income group, study design and adherence rates. We found that the magnitude of the association significantly decreases with more recent publications and increasing study sample size. The higher the prevalence of depressive symptoms of PLHIV recruited in the studies, the lower the likelihood of achieving good adherence to ART. In conclusion, the likelihood of achieving good adherence was lower among those with depressive symptoms compared to those without. O. A. U. and J. M. contributed equally to this work and fulfilled the criteria of joint first authorship. We thank Ms. Joyce Snyder, Pittsburgh University, Department of Epidemiology, Pittsburgh, PA, USA; and Ms. Debbie Harrison, Stellenbosch University, Department of Medicine and Center for Infectious Diseases, Cape Town, South Africa, for administrative support. The US National Institutes for Allergy and Infectious Disease-National Institutes of Health (NIAID-NIH), AIDS Clinical Trial Group (ACTG), Stellenbosch University (SU)-Clinical Trial Unit (CTU) Award: 2UM1AI069521-08 (J. B. N.); the US NIH-Fogarty International Center (FIC)/Health Resources and Services Administration (HRSA)/US President Emergency Plan for AIDS Relief (PEPFAR) Grant Award, T84HA21652-01-00 for Medical Education Partnership Initiative (MEPI) (J. B. N.); the European Developing Countries Clinical Trial Partnership (EDCTP) Senior Fellowship Award: TA-08-40200-021 (J. B. N.); the Wellcome Trust Southern Africa Consortium for Research Excellence (SACORE): WT087537MA (J. B. N.); FAS Marie Curie International Post Doc: 2012–0064 (O. A. U. ); The MGH Global Psychiatric Clinical Research Training Program: NIH T32MH093310 (J. F. M); K24MH094214 (S. A. S.). The agencies had no role in the conduct of the study; collection, management, analysis and interpretation of the data; or preparation, review or approval of the manuscript. The conclusions and opinions expressed in this article are those of the authors and do not necessarily reflect those of the NIH, the US Department of Health and Human Services, PEPFAR, HRSA and the Wellcome Trust. Amberbir A, Woldemichael K, Getachew S, Girma B, Deribe K. Predictors of adherence to antiretroviral therapy among HIV-infected persons: a prospective study in Southwest Ethiopia. BMC Pub Health. 2008;8(265). doi: 10.1186/1471-2458-8-265. Arnsten JH, Li X, Mizuno Y, Knowlton AR, Gourevitch MN, Handley K et al. 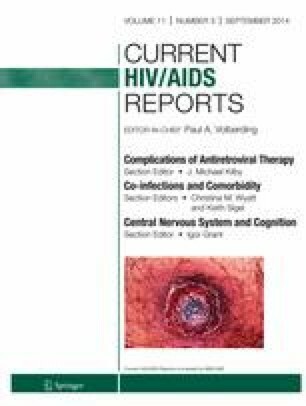 Factors associated with antiretroviral therapy adherence and medication errors among HIV-infected injection drug users. J Acquir Immune Defic Syndr. 2007;46(SUPPL. 2):S64-S71. doi: 10.1097/QAI.0b013e31815767d6. Do HM, Dunne MP, Kato M, Pham CV, Nguyen KV. Factors associated with suboptimal adherence to antiretroviral therapy in Viet Nam: a cross-sectional study using audio computer-assisted self-interview (ACASI). BMC Infectious Diseases. 2013;13(1). doi: 10.1186/1471-2334-13-154. Moss AR, Hahn JA, Perry S, Charlebois ED, Guzman D, Clark RA et al. Adherence to highly active antiretroviral therapy in the homeless population in San Francisco: a prospective study. Clin Infect Dis. 39(8):1190–8. doi: 10.1086/424008. Palepu A, Horton NJ, Tibbetts N, Meli S, Samet JH. Uptake and adherence to highly active antiretroviral therapy among HIV-infected people with alcohol and other substance use problems: the impact of substance abuse treatment. Addiction (Abingdon, England). 2004. doi: 10.1111/j.1360-0443.2003.00670.x. Webb MS, Vanable PA, Carey MP, Blair DC. Medication adherence in HIV-infected smokers: The mediating role of depressive symptoms. AIDS Educ Prev. 2009;21(SUPPL. 3):94–105. doi: 10.1521/aeap.2009.21.3_supp.94.